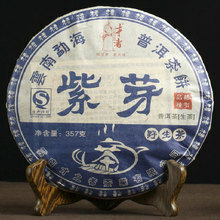 On Sale, New Shop Promotion, Super Aged Organic Puer Tea. Don’t Miss it! YUWU is a small village in Yunnan with only 117 families living there. The village is located at a mountain top 1700-1900m above sea level. With 2088 annual sunshine hours and mists around the year, the wild ancient trees grown in this village provide best leaves for tea making, and this village has been one of the four famous Puer tea origins in China. The village is also endowed with a diversity of vegetation, fresh air, and stunning views. Due to Puer trees are grown among numerous camphor tress in this natural wild mountain, Puer tea produced in Banzhang village acquires the unit scent of camphor tress. Banzhang Puer tea is purely organic, as it is made from wild tea trees naturally grown in wild mountain since hundreds of years ago without any fertilizer or pollution. Therefore it contains rich nutrients and is very good for health. It has proven effects on slimming, fat reduction, blood pressure reduction. 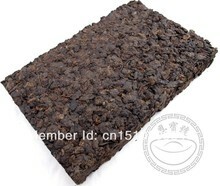 Puer tea is worth collecting, as its flavor improves with years. 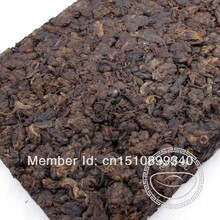 In terms of flavor, Banzhang Puer tea is characterized by strong flavor, thick texture, mellowness, lingering aftertaste after bitterness. 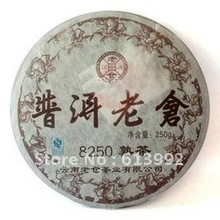 This57- years old MengHai puer tea is made from raw leaves grown on wild tea trees hundreds of years old.Hope you will be the one of the fortunate ones who buy at this very advantageous discount. his57- years old MengHai puer tea is made from raw leaves grown on wild tea trees hundreds of years old.Hope you will be the one of the fortunate ones who buy at this very advantageous discount. Guarantee:we guarantee that this is tea produced in 1967. The brownish color of the tea cake, damaged old paper package, and the distinct earthy flavor typical of aged Puer tea all demonstrate its age. If you need a certificate to prove its age, please do not hesitate to contact us! And if you find any sign of inconsistency with its age upon receiving it, we will refund you at full price. 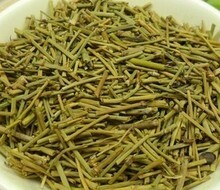 “Ripened” tea is pressed raw tea that has been specially processed to imitate aged “raw” Sheng Cha tea. The process used to convert raw tea into ripened pu’er manipulates conditions to approximate the result of the aging process by prolonged bacterial and fungal fermentation in a warm humid environment under controlled conditions, a technique called “wet piling” . It can be consumed without further aging, or it can be stored further to “air out” some of the less savory flavors and aromas acquired during fermentation. The tea is sold both in flattened and loose form. ·Liquor: The tea liquor of both raw and ripe pu’er should never appear cloudy. Well-aged raw pu’er and well-crafted ripe pu’er tea may produce a dark reddish liquor, reminiscent of a dried jujube, but in either case the liquor should not be opaque, “muddy,” or black in color. The flavors ofpu’er liquors should persist and be revealed throughout separate or subsequent infusions, and never abruptly disappear, since this could be the sign of added flavorants. ·Young raw Puerh:The ideal liquors should be aromatic with a light but distinct odors of camphor, rich herbal notes like chinese medicine, fragrance floral notes, hints of dried fruits aromas such as preserved plums, and should exhibit only some grassy notes to the likes of fresh sencha.Young raw pu’er may sometimes be quite bitter and astringent, but should also exhibit a pleasant mouthfeel and “sweet” aftertaste. ·Aged raw Puerh: Aged pu’er should never smell moldy, musty, or strongly fungal, though some pu’er drinkers consider these smells to be unoffensive or even enjoyable. The smell of aged pu’er may vary, with an “aged” but not “stuffy” odor. The taste of aged raw pu’er or ripe pu’ershould be smooth, with slight hints of bitterness, and lack a biting astringency or any off-sour tastes. The element of taste is an important indicator of aged pu’er quality, the texture should be rich and thick and should have very distinct aftertaste on the tongue and cheeks, which together induces salivation and leaves a “feeling” in the back of the throat. Spent tea: Whole leaves and leaf bud systems should be easily seen and picked out of the wet spent tea, with a limited amount of broken fragments. Twigs, and the fruits of the tea plant should not be found in the spent tea leaves.The leaves should not crumble when rubbed, and with ripened pu’er, it should not resemble compost. 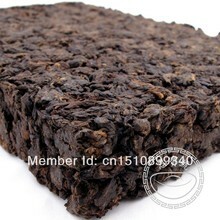 Aged raw pu’er should have leaves that unfurl when brwed while leaves of most ripened pu’er will generally remain closed. We are passionate about our products and we really care about you!